To address the last of these issues, a teaching principal strategy has been developed for 2018. While the QTU has been advocating and campaigning for years on the issues associated with being a teaching principal, this year we are taking a new look at how we can better advocate for our teaching principal members. In the QTU’s PPCR submission, the role of teaching principals across the state was raised as an issue of particular significance that needed to be addressed as part of this review. 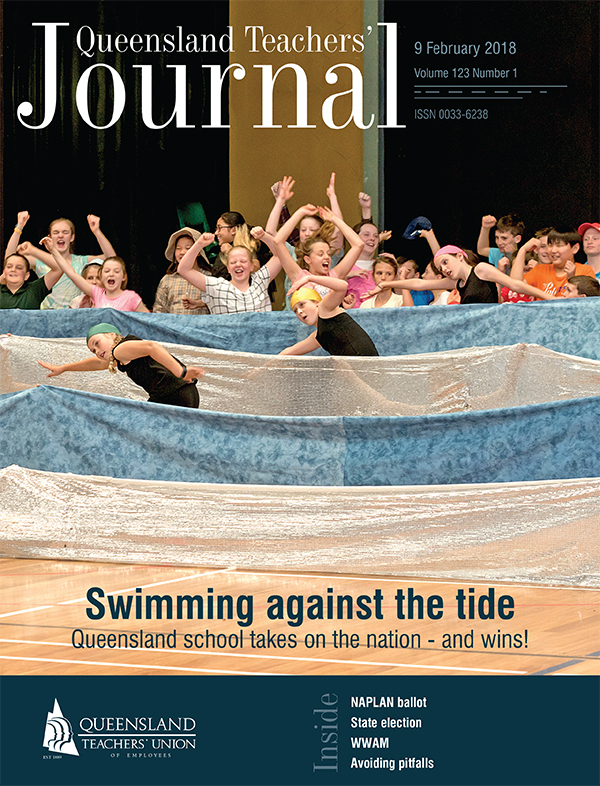 There is a total of 384 Band 5 and 6 teaching principals in Queensland. As Darryl Murdoch argued in his “Teaching principals in smaller primary schools – their issues, challenges and concerns”, the dual nature of a teaching principal’s role means that they are required to interpret and adapt to changes imposed with larger school contexts in mind. While the focus while obtaining feedback for the QTU submission to the PPCR was on the work value and complexity issues of different promotional positions, it was apparent that all small school principals had significant concerns about their workload, and a statewide review of their workload needs to occur. The QTU PPCR submission recommended such a review. an investigation into a method of delivering sessions on industrial relations and legal matters to teaching principals.